Have you ever gone to a bar and just sat back and watched? This is something you can learn a lot from. When I was in college, I always loved the first week back at school after the summer break. Sophomores, Juniors, and Seniors were back on campus and they were glad to be back and see everyone they missed over the summer. But there was also the Freshmen students. They were a mixture of nervous and excited. The first weekend back was always filled with a number of parties. The fraternities all had parties and many of the club and sports teams had their own as well. These parties, especially for the fraternities had three objectives. First, reunite with your friends from last year. Second, attract the freshmen boys who you wanted to rush your fraternity. Third, attract the freshmen ladies so you could meet and get to know them. I enjoyed those parties because I loved to sit back on a bar stool or stand off to the side and watch. You had these freshmen boys wandering around the party trying to meet as many of the fraternity brothers as possible. They were trying their best to attract the attention of the women as well. They wanted to look cool and were desperate for any attention they could garner. The pretty girls were different. They seemed to attract attention without even trying. They would walk into the party or the bar and immediately some guy would come over and start talking to them. As soon as that boy left, up walked another one. So what in the world does this have to do with sales? Are you the pretty girl or are you the freshmen boy? Are you swarming around your prospects looking for anyone to give you attention? Or are you standing there and attracting the attention from your prospects? How do you transition from the freshman boy begging for people to talk with you to the pretty girl who is attracting the attention? You become the pretty girl by providing your prospects and customers with value. You can do that through Social Media posts on the social channel where your prospects congregate. You can produce a blog post that provokes thoughts and actions. Your meetings with your prospects and clients need to be less selling and more consulting. 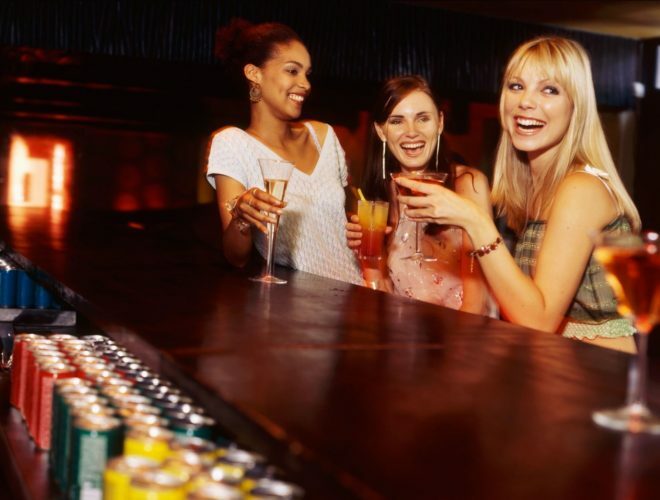 As you plan out your day, make sure your activities will make you the pretty girl at the bar.